Eight Nigerian pirates identified as Molih William, Molilh, Klinsman, David Jacob, Amos Ebiyaibo, Aki Peggy John Picolo, Ayetimili Oyinle and Pinano Saniyu, have been deported by the Ghanaian authorities. The Nigerians were arrested following a complaint lodged by the Nigerian owner of a vessel, Sunday Nakase who said the men had stolen his oil ves­sel, MT Mariam, together with its crude oil contents and directed the crew to steer to an undisclosed destination. 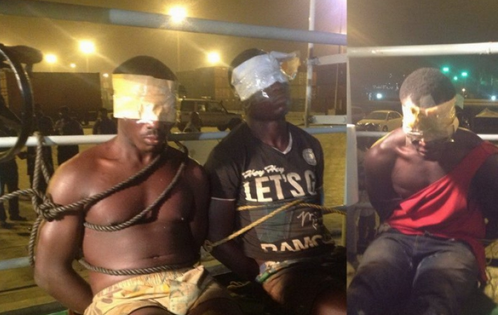 They were arrested by Ghanian police officers and upon deportation, handed over to Niger­ian authorities at the Murtala Muhammed International Airport on Janu­ary 7th. 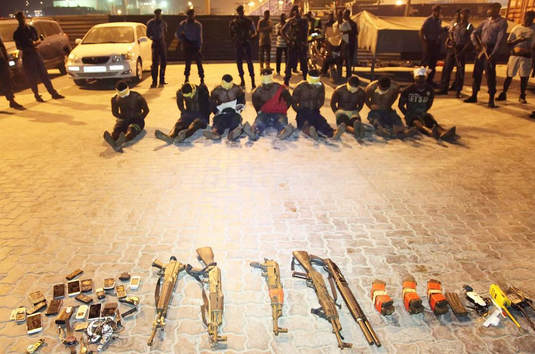 Items found on them when they were arrested included three AK 47s, IG3 rifle, a pump-action gun and 256 rounds of ammunition.